To analogize: serum is to skincare as a hair mask is to hair care. Serums thwart signs of aging, and hair masks can, too. “Just like our skin, our hair changes as we age,” asserts Burg. This can cause once-shiny strands to become dull, and full hair to look flat. Furthermore, “hairstyles that may have worked at one time in your life start looking tired, and hair can become less manageable,” he adds. When it comes to slower growth and thinner, brittle strands, you can blame your changing hormones, asserts Michelle Henry, M.D., Dermatologist and Dermatologic Surgeon. And while a hair mask can’t change the course of hormone fluctuations, a good one can certainly help whip hair back into its youthful shape. The key is to know which ingredients to look for. Here, we shared our favorite formulas to get the job done. Baobab — what Burg calls the “magic ingredient” — in the évolis® Professional PROMOTE treatment mask ($40) promotes elasticity and suppleness, which both decrease over time. Plus, this mask is infused with antioxidants — which are just as good for your hair as they are for your skin (read: major pollution-pummeling power). Another product Burg swears by for restoring strand stretchiness (a quality which, in turn, reduces breakage) is the Philip Kingsley Elasticiser ($51). It’s spiked with elastin — the substance responsible for that snapback quality that hair (and skin) lose as we age. Unlike traditional masks, this one is a pre-shampoo treatment. Translation: you’re setting yourself up for a more resilient mane before you even step foot in the shower. Burg recommends a mask containing natural humectants, such as aloe and honey, which draw moisture into the hair to rebalance dryness. The result: soft, silky, supple, strands and decreased frizz. 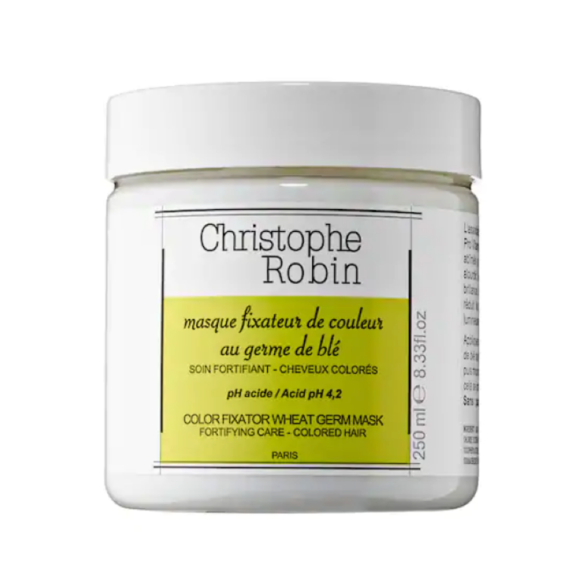 The Christophe Robin Color Fixator Wheat Germ Mask ($43) contains honey for unparalleled smoothness and a glossy finish. Plus, it delivers an added peace of mind for people with color-treated hair: the formula seals the hair strand, which ultimately keeps dye inside the hair shaft for longer. (That’s especially important for those of us who aren’t ready to embrace the greys.) In addition to masking for a better sheen, maintaining a diet rich in healthy fats like omega 3s can add luster and shine to your locks, Dr. Henry notes. 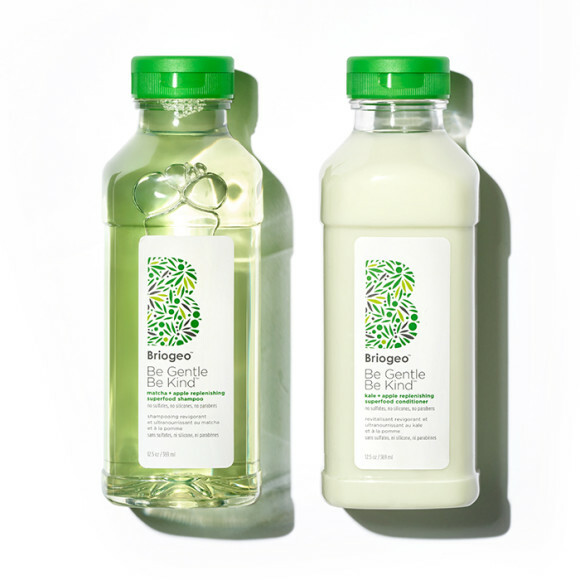 Consider a formula free from silicone — an ingredient which can weigh on hair, Burg asserts. The Briogeo™ Don’t Despair, Repair™ Deep Conditioning Mask, $36, is ultra nourishing and free from silicone, as well as a roster of other potentially nasty ingredients, including parabens, sulfates, and gluten. Similar to face masks, most hair masks require weekly use. That said, if you’re seeking a daily dose of luster between treatments, consider a temporary booster. 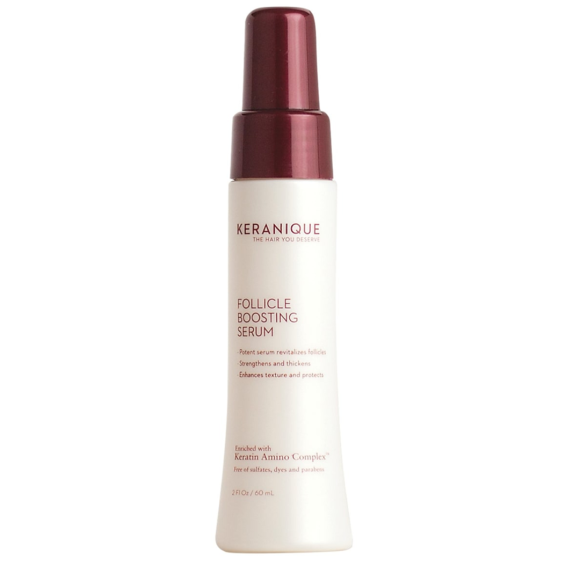 We’re loving the Keranique Follicle Boosting Serum ($30), which is made specifically for aging hair. The formula bonds with hair’s own keratin, Henry explains, adding volume to each strand. The result: hair that looks thicker throughout the course of the day — or at least until you have a chance to revive with a hair mask!